So everybody knows that it gets quite warm, or even toooo (insert expletive) HOT in Granada come the Summer months. So we are looking for some ideas of what to do in Granada in the sunshine and when the the mercury soars ( I think they still use mercury in thermometres, well you know what I am trying to get at). It is easier to start off with suggestions of what not to. That would be pretty much anything between the hours of 2pm to 6. The only thing for it, is to make use of the world famous siesta, enjoyed nowhere else like it is here in Andalucía. Generally speaking, the local timetable suggests that lunch should be eaten from 14-15:30 followed by 15:30-17:30 siesta time. If you want to get something done, especially if it requires interacting with other human beings (that are awake and functioning,) there is only a small window of opportunity to get it done. 10am -1pm is your best bet. There are many other swimming pools in hotels and restaurants in the suburbs and provincial towns outside of the city that are free to enter as long as you will be spending money in their cafe or restuarant. Obviously wining and dining alfresco (aka eating and drinking outdoors) is of course a popular option, for local Granaínos this does not usually commence until about 10pm onwards. Plaza Nueva, Calle Navas, Campo de Principe and Ribera del Genil, some of the best areas to check out. Escaping the city, one of the favourites has to be a walk up the rio Monachil, read our itinerary here. Another good option is to check out the pine forests of the cumbres verdes just past la Zubia. Then of course there is the beach. While Granada is in an inland city, it is only a 45 min drive to the mediterean coast and the glorius beaches of the Costa Tropical. Please leave a comment and some of your own suggestions as the best things to do in Granada during the summer. 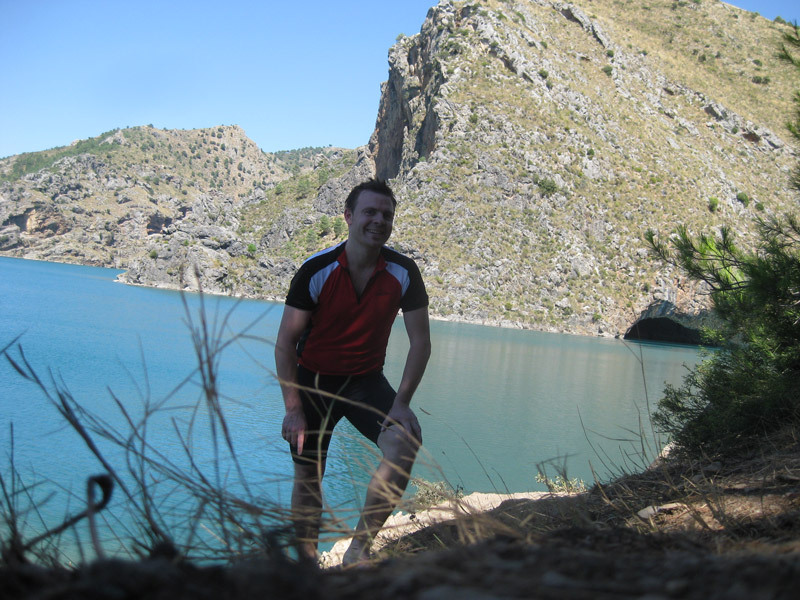 My own favourite is always a nice hard and sweaty ride up towards the Sierra Nevada and a swim in the resevoir, more on that to come very shortly, where I will detail the best cycle routes and outdoor swimming spots.